How to fight spam registrations and blogs??? Published on: May 29, 2010 · In Development · With 1 Comment on How to fight spam registrations and blogs??? OK, I don’t know about you, but I am sick and tired of cleaning my websites of spam registrations and spam blogs in case of multi site installations. And no matter what I tried, nothing really solves the problem. So, I decided to do something about that. There are days that I get over 200 spam blogs registered over at xScape demo website. And I get the IP used for registration, and I add it to .HTACCESS file. And than I need to removed all those blogs. And that takes time, and always it’s very frustrating. And to be honest, the only method that have some effect is banning IP’s. But, there is nothing to prevent these spam bots to use another IP. Perform regular expression filtering of username and email. If they fail with at least one expression, they are considered invalid. Log registration requests into DB, and mark them with filter that they failed. Auto ban IP, email or username automatically if they fail filter tests. Redirect visits to whole website or wp-login.php/wp-signup.php based on the banned IP. Starting tonight I will test the plugin on xScape.info and make sure that everything works before rolling out GD Press Tools 3.6 Pro next week. This will be another Pro exclusive feature and over time will be expanded with more options and more filter tests. If you have suggestion what else can be included, please leave a comment or send me an email. I will be happy to improve this as much as possible and help all plugin users by saving them some time and a lot of frustration from cleaning the website from spam registrations. And with increasing number of WPMU and WP 3.0 Multisites, I am sure that spam problem will only increase. And with already implemented prune users feature GD Press Tools is very powerful tool that will make your blog clean and secure. So stay tuned, new GD Press Tools will get his spam fighting powers soon. It is really unthinkable to blog without installing GD Press Tools. 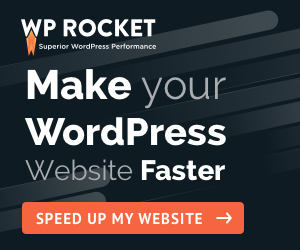 Thousands of spam will hit your blog if you don’t install GD Press Tools. I must say that pretty incredible tool, now let’s all imagine life without GD Press Tools a terrible life with hours of our time wasted deleting spam comments and fight spam registrations.